FDNY Deputy Chief Tonya Boyd, left, tells her inspiring story as Pastor Cora Taitt, right, listens. The CSEA Metropolitan Region Education Committee hosted a dynamic program to commemorate the life of The Rev. Martin Luther King, Jr. at the region office in Manhattan. Attendees heard heartwarming and fascinating accounts of the civil rights movement from Pastor Cora Taitt, who marched with King. 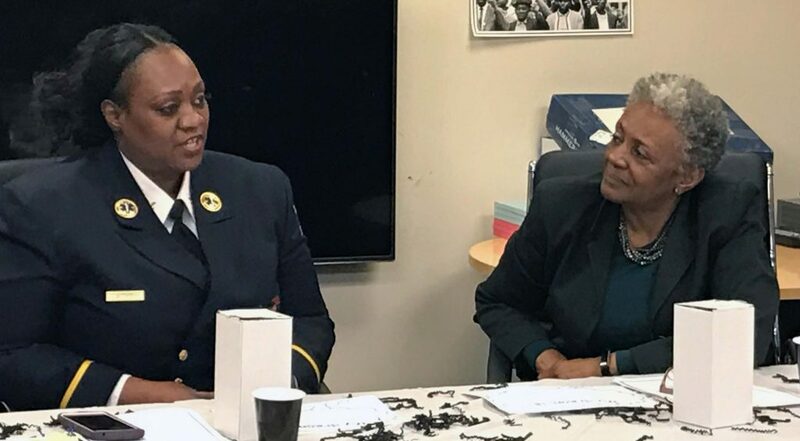 They were also inspired by Tonya Boyd, the first African American woman to rise to the rank of Deputy Fire Chief in the Fire Department of New York.